You may be interested to know that there are 10 levels of study in New Zealand schools and universities. The lowest level is a certificate and the highest is a doctoral degree. Each level is more complex than the one below it. All of New Zealand’s major education providers have qualifications with these names. This means that you may easily understand the level of the qualification and compare qualifications between education providers. All major education providers are registered with the New Zealand Qualifications Authority (NZQA) and so you may be sure you are studying for an approved qualification that has been assessed to ensure that it is of high quality. At polytechnics and institutes of technology you may study for a certificate, diploma or degree. These institutions offer more practical and vocational programmes of study. At colleges of education you may study for a degree in education and teaching. A university bachelors degree takes three to four years on average. The majority of degree structures give you the opportunity of combining your ‘major’ subject with supporting subjects known as ‘minor’ subjects. After you have a bachelors degree, you may study for a postgraduate qualification e.g. a master’s degree or doctorate. If you already have an undergraduate degree from your home country and your English is good, you may be eligible to enrol in a postgraduate programme in New Zealand. The Code of Practice sets out what standards of care education providers must provide you as an international student living and studying in New Zealand. When international students come to study in New Zealand, it’s important that you are well informed, safe and well cared for. The Code of Practice sets out what standards of care education providers must provide to international students living and studying in New Zealand. The framework covers minimum standards, good practice and student complaint procedures. 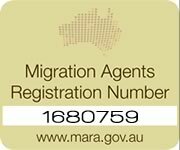 All education providers with international students must sign up to the Code. For this reason, your safety as a student is assured as is your well being. 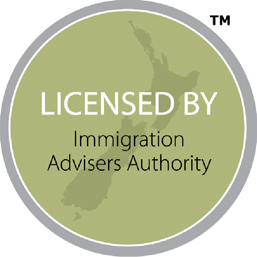 For more information on obtaining a New Zealand student visa, contact us.